IPL 2019 Match 23 -CSK VS KKR most thrilling match of the season as top 2 contenders will be facing each other to be the best and to stay on the top of the tables. After beating Rajasthan Royals and ranking top on the points table with 8 points will be facing their toughest competition Chennai Super Kings. CSK is also not coming slow on the points table with 8 points stands 2nd on VIVO IPL points table. 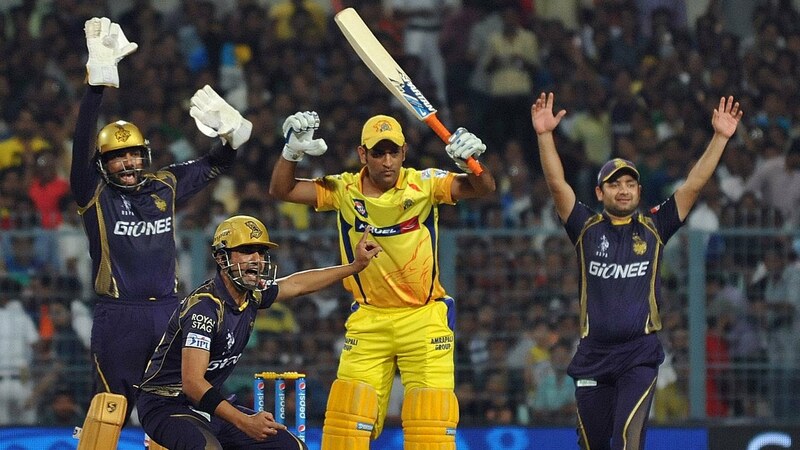 This will be a match to watch as to see if CSK can stop Andre Russell and KKR to catch MS Dhoni strategies and runs. This match will be played at MA Chidambaram Stadium at 8:00 PM (IST). Chennai fans will be heating up the grounds with their voices and love for their home team. The pitch is batting friendly for the second innings. Teams who win the toss will be hoping to bowl first. Dew factor does influence this pitch badly but as there is no rain forecast for today so dew will not be that much of concern, but humidity will affect the match as it increases with day progressing. Chennai Super Kings will be tossing on the field without Dawyane Bravo. In the last match with MI injury was to be Grade 1 Hamstring tear and rest for 2 weeks. D.bravo did splendid in middle order batting as well as proved a key bowler in death turning overs. CSK will give the performance as a strong team and will win the hearts of the fans. He’ll be replaced to Scott Kuggeleijn. While in KKR team everything looks much better and will be leading the same team on the ground without any new injury updates till now. CSK and KKR have been against to each other for 21 games and huge margin CSK have won 12 of the matches and KKR with 8 wins. This will be the 22nd time of the team to turn against each other. A tough competition for KKR to beat CSK in a game. After the last match, CSK team with the missing of their trump card Dawyane Bravo and KKR will leading the tunnel with the same team. Predicted XI for today’s match is.